I've been doing this routine every morning for over a decade, and honestly its the secret to my success. The clarity I get from this golden hour of dedication to gentle movement, deep breathing and simply letting go is priceless. There are so many benefits of both yoga and meditation, that we can use to help elevate us into a more positive mindset. Below is just a sneak peak into my morning ritual which begins with Cannabis, of course! I generally start with a few puffs of an organic raw paper joint and just breathe. Puff and breathe, puff and breathe, the more I allow the smoke to fill my lungs the more at ease my body becomes - ready to begin the warm up and stretch out thats coming soon. Just a few puffs more, and I begin asana. I generally start with a few sun salutations to warm up and gradually build to more advanced practice as the flow continues on. 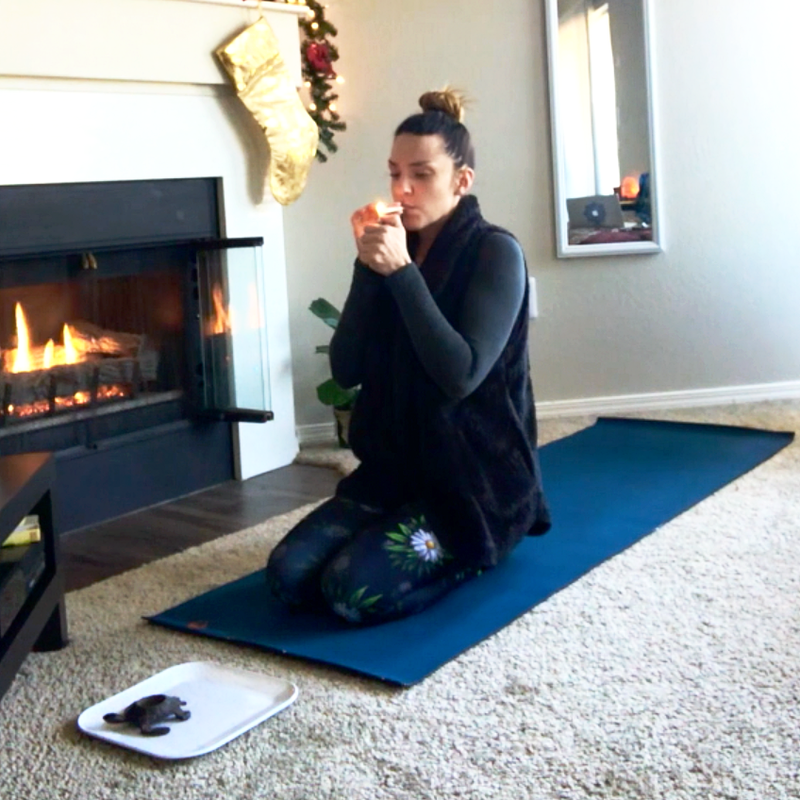 For me, my yoga routine has become a bit of a "moving meditation" Focusing on getting deeper into each asana through the breath, is a meditation in and of itself. By the time my body gets to the coveted Savasana, better known as corpse pose, my mind drifts off into nothingness, no thought, just the breath. This ritual is super simple, yet immensely powerful to bringing balance into everyday life. Moving my body and freeing my mind daily allow me to remain humble and flexible in my thinking and actions. What does your morning ritual look like? Do you practice yoga or meditation? Share your stories in the comments below! Thanks for reading.